Today, you are a member of... U+0021 exclamation mark - You Are A Member! Whether exclamation [Howdy! ], imperative [Right now! ], poetic break [Hark! The Wooly Mammoth! ], interrobang [They put the cake where?! ], factorial operation [5!=5x4x3x2x1 = 120], a jazzy attribute of a Quebec city moniker [St. Louis du Ha! Ha!] 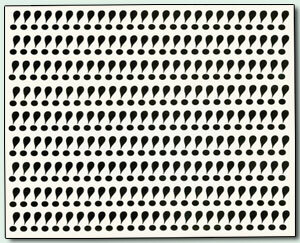 or repping for the alveolar click, our dear exclamation point does a lot of expressive work. And up until the late 1970s, you had to work just as hard for your ‘notes of admiration’: typewriters lacked a singular keystroke, so emphasis achieved meant typing a period, backspacing then typing an apostrophe. This week, you don’t have to get all Fitzy and cut out the U+0021s entirely (so as to avoid the appearance of laughing at your own jokes), but it may well be time to get discerning about what you adulate when you punctuate.